Panoramic cameras feature extremely wide viewing angles. A great choice when you need to cover a lot of space with one camera. Fisheye/360 cameras are great for a "top down" look while Panoramic/180 are great for covering a large area such as a parking lot and building entrance. 30ft Infared Distance is commonly refrenced as "Night Vision Distance" and refers to the cameras ability to capture footage at night time. The Recurve HD+ 4MP 360 Camera has an overall distance of 30ft. 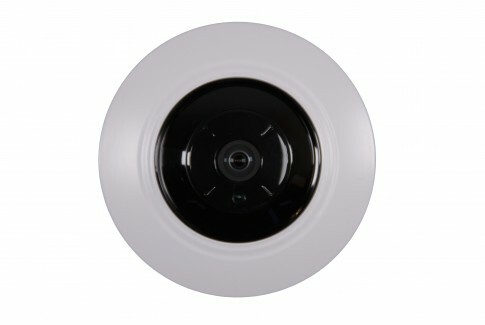 Arcdyn Security cameras use the 850nm wavelength for IR illumination. 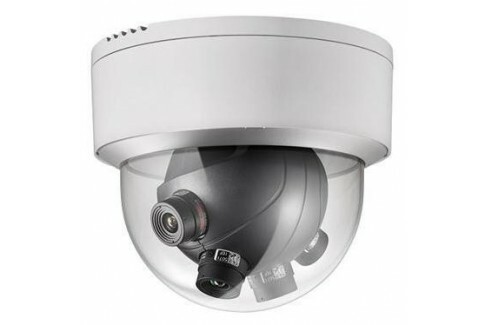 360˚ (Fisheye) FOV or the field of view of a security camera is the viewable area that the camera can see. This specification is measured in degress and varies depending on the focal length. Shorter focal lengths give a larger FOV, while larger focal lengths give a smaller FOV. 1.6MM Focal length is a measurment of the distance between the lens and the image sensor. Security cameras have a fixed focal length or a variable focal length. A fixed lens camera has fixed focal length and a fixed field of view. A varifocal camera has a variable focal length and a variable field of view. 50ft Infared Distance is commonly refrenced as "Night Vision Distance" and refers to the cameras ability to capture footage at night time. The Bullseye 4K 12MP 360 Camera has an overall distance of 50ft. Arcdyn Security cameras use the 850nm wavelength for IR illumination. 1.9MM Focal length is a measurment of the distance between the lens and the image sensor. Security cameras have a fixed focal length or a variable focal length. A fixed lens camera has fixed focal length and a fixed field of view. A varifocal camera has a variable focal length and a variable field of view. 4000 X 3072 20FPS This cameras max resolution and Frame per second(FPS) is 4000 X 3072 20FPS. Digital security camera resolution is measured in megapixels (MP) and is sometimes also given in horizontal and vertical pixel dimensions. For instance, if a camera is 1920×1080 resolution, then the camera is 2MP (1920 x 1080 = 2,073,600 or 2MP). No IR Infared Distance is commonly refrenced as "Night Vision Distance" and refers to the cameras ability to capture footage at night time. The Rampart 4K 8MP 180° Panoramic Security Camera has an overall distance of No IR. Arcdyn Security cameras use the 850nm wavelength for IR illumination. 180˚(Panoramic) FOV or the field of view of a security camera is the viewable area that the camera can see. This specification is measured in degress and varies depending on the focal length. Shorter focal lengths give a larger FOV, while larger focal lengths give a smaller FOV. 5mm X 4, Pan: 180°, Tilt: 78.4° Focal length is a measurment of the distance between the lens and the image sensor. Security cameras have a fixed focal length or a variable focal length. A fixed lens camera has fixed focal length and a fixed field of view. A varifocal camera has a variable focal length and a variable field of view. 4096 × 1800 30FPS This cameras max resolution and Frame per second(FPS) is 4096 × 1800 30FPS. Digital security camera resolution is measured in megapixels (MP) and is sometimes also given in horizontal and vertical pixel dimensions. For instance, if a camera is 1920×1080 resolution, then the camera is 2MP (1920 x 1080 = 2,073,600 or 2MP). 50ft Infared Distance is commonly refrenced as "Night Vision Distance" and refers to the cameras ability to capture footage at night time. The Bullseye 6MP 360˚ Camera has an overall distance of 50ft. 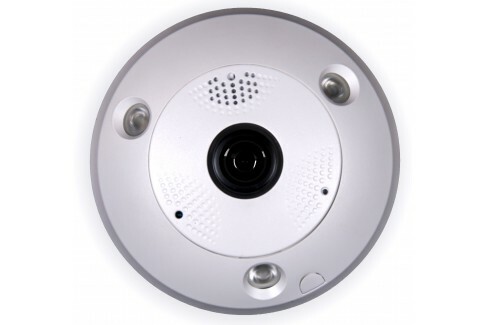 Arcdyn Security cameras use the 850nm wavelength for IR illumination. 3072 x 2048, 25fps This cameras max resolution and Frame per second(FPS) is 3072 x 2048, 25fps. Digital security camera resolution is measured in megapixels (MP) and is sometimes also given in horizontal and vertical pixel dimensions. For instance, if a camera is 1920×1080 resolution, then the camera is 2MP (1920 x 1080 = 2,073,600 or 2MP).